Why should you use cinderblocks? Cinderblocks offer great benefits to any company that needs bulk amounts of structural integrity. Our cinderblocks are manufactured by EP Henry and are sure to last. The great thing about cinderblocks is that they are completely fire resistance. Masonry never burns and as a result, they will maintain structure for at least four hours of heat exposure. Not only do cinderblocks offer structural value, but they also make your home look modern and accredited for years to come. How many different types of cinderblocks do we offer? There are many different types of cinderblock to select from, each serving their own function. We offer a variety of different sizes and styles for our customers. Check out some of our cinderblocks below. Are there any advantages to concrete and cinder block accessories? 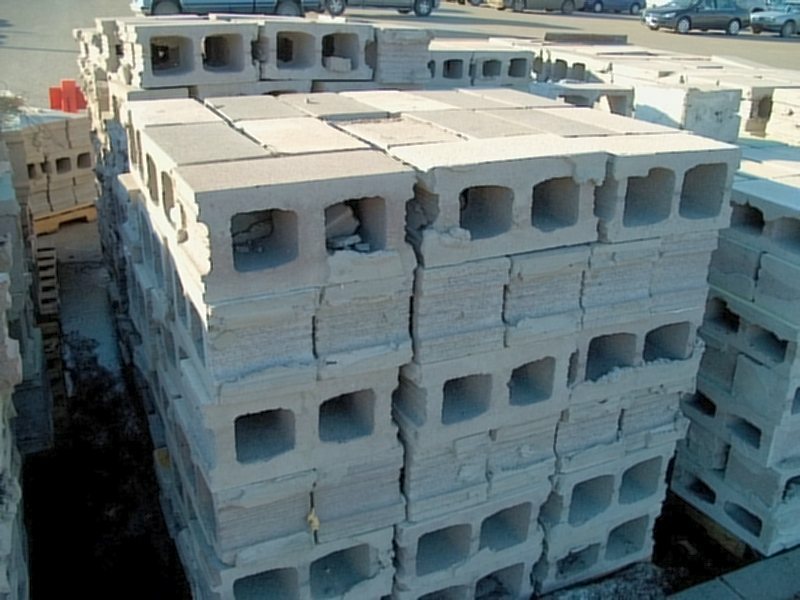 Concrete accessories greatly benefit all of our customers that are planing to lay out multiple cinder blocks for their building or home. Rebar Caps are one of our most popular accessories due to their great price and exceptional safety values. With rebar caps, you can guarantee that all of your workers will remain safe and completely protected from impalement. We also offer Nail Stakes which are primarily used to secure wood or metal forms to the ground. Nail stakes are a great asset to every business owner who needs to hold timber, stakes, and metal forms from moving due to the elements. Make sure to check out some of our pictures below!